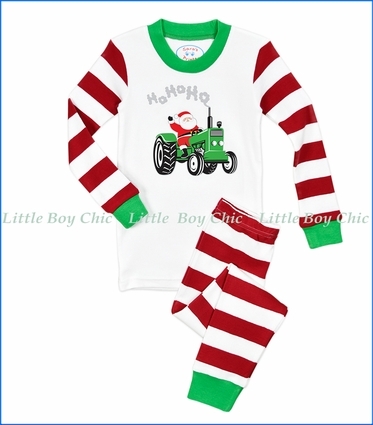 Santa has traded in his sled for a tractor in this festive candy-stripe PJ set by Sara's Prints. Contrast crewneck and cuffs. Elastic waist and cuffs. Soft hand feel. Snug fit.